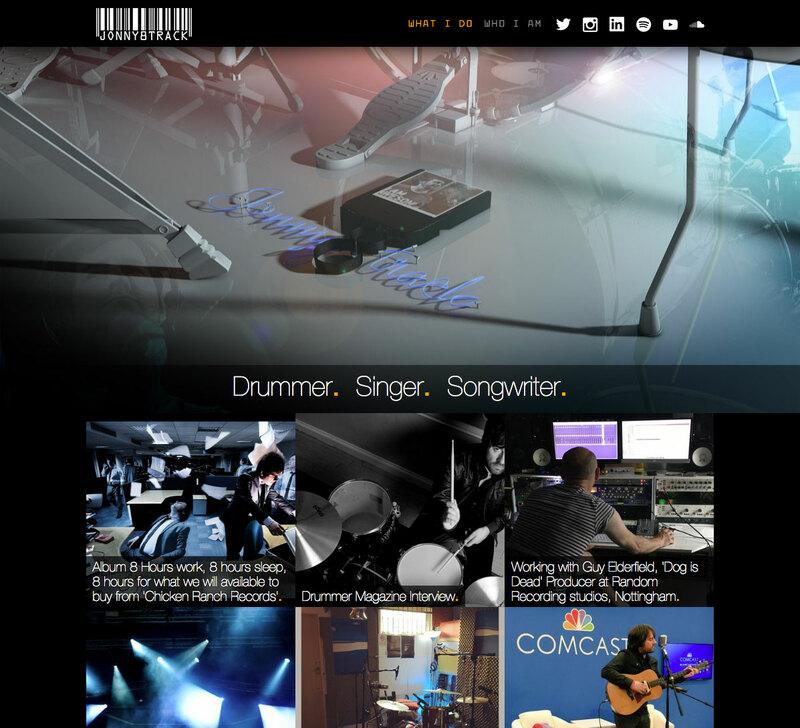 A site design and simple CMS build for a singer, songwriter and session drummer. By his own admission, Jonny is not a technical guy, but does not want to be left behind when it comes to making a presence for himself online, I was asked to design a simple portfolio site for him that could be easily updated, preferably all on his iPhone. The end product is a mobile first rails app, which allows Jonny to log into a simple CMS on his phone, take photos, add a description and headline and publish them directly to his site. 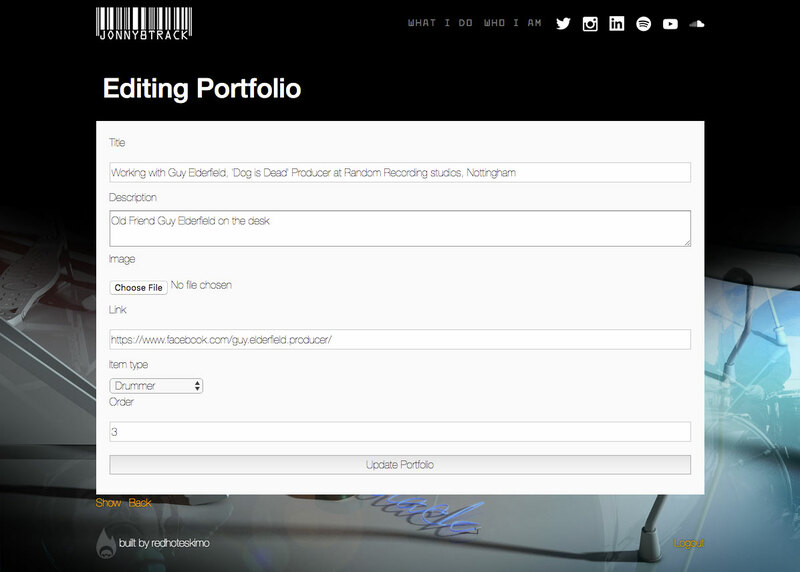 I am pleased with the overall look and functionality of the site, as is Jonny. I also managed to adapt some previous 3D work I had done for him into the main image for the website.